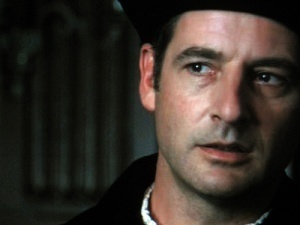 Sir Thomas Moore. . Wallpaper and background images in the The Tudors club tagged: the tudors tv show sir thomas moore jeremy northam. This The Tudors photo might contain اکیڈمک گاؤن, تعلیمی چوغہ, جج کی قبا, تعلیمی گاؤن, جج کا لباس, کاروبار سوٹ, and بزنس سوٹ.